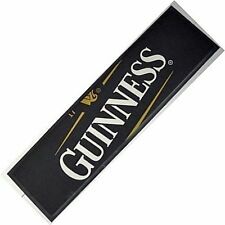 Black Rubber Bar Mat Bar Runner Drip Mat Strip 24" x 3.5"
Black Rubber Bar Drip Mat. 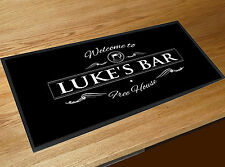 Non slip mat for serving drinks to protect the bar from spillages. Silent Pool Distillers bar runner, perfect addition to the gin lover's cocktail bar. Brewdog Rubber Bar Runner. Condition is New. Set up your BrewDog bar at home with this BrewDog Drip Mat. 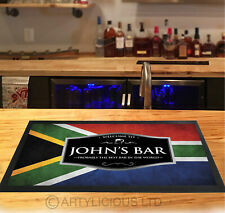 This non-slip easy to clean rubber mat will help catch any drips or spills on your bar. Dimensions - 600mm x 145mm x 10mm Dispatched with Royal Mail 2nd Class. Approx size - 90 cm long x 24 cm wide. 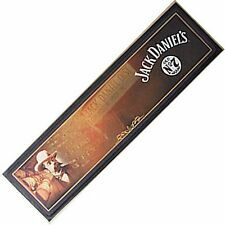 Pedigree Amber Ale Brushed Knit Bar Runner Brand new. Free postage! MONGOOSE PREMIUM BEER BAR RUNNER. Corona Rubber Bar Runner. Condition is New. 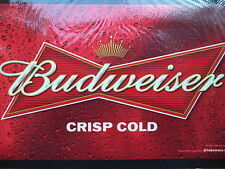 Dispatched with Royal Mail 2nd Class - Free Postage! 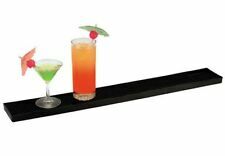 Fab Hobgoblin Rubber backed bar runner. 2 X Oranjeboom Bar Runners / Mats. Condition is New. Dispatched with Royal Mail 2nd Class. 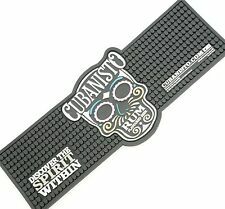 Brewdog Punk IPA Rubber Bar Runner/Mat. Condition is New. Dispatched with Royal Mail 2nd Class. 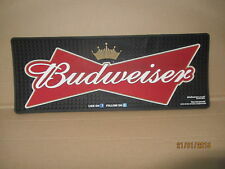 Four Bud Light Beer Drip Mats / Bar Runners. Condition is New. Collection in person only. Fosters Bar Runner. Condition is Used. Dispatched with Royal Mail 2nd Class. We can change the background colour on request when you order. • Digital colour printing.